Remove the memory stick or card from the camera. 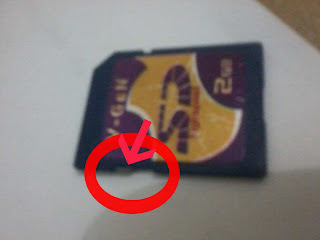 There is a small switch near the end that goes into the camera on the right side as you look at the top of the SD memory card. There may be a different set up on memory sticks. Make sure this switch is not on "Lock." CAUTION To prevent data loss, wait for lights to stop blinking then turn camera off before removing memory. For memory card readers, double click Safely Remove Hardware, Stop, and OK. Most digital cameras reset to original settings if batteries are removed for one minute. After one hour, check camera date & time settings. Remove extra memory to eliminate this as a possible problem. Insert fully charged batteries and restart the camera.